UN Photo 139700. UN Day Concert held in General Assembly Hall at UNHQ. 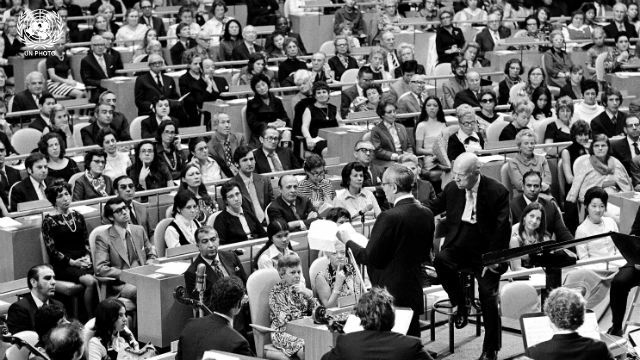 "Hymn to the United Nations", Composition Pablo Casals, with text by American poet W.H. Auden, commissioned by UN Secretary-General U Thant, to mark 26th anniversary of Organization.